When we hear the term “Big Data” we think we know what that is, but do we really? 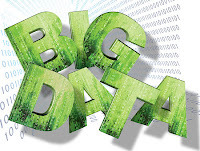 Big Data is big business, and everyone is talking about it. However you will be hard pressed to come up with a simple definition, I'd like to break down what Big Data is, and put it in terms that we can all understand. Every day, we create 2.5 quintillion bytes of data–so much that 90% of the data in the world today has been created in the last two years alone. This data comes from everywhere: from sensors used to gather climate information, posts to social media sites, digital pictures and videos posted online, transaction records of online purchases, and from cell phone GPS signals to name a few. This data is Big Data. The size of Big Data is beyond the ability of commonly used software tools to capture, manage, and process the data within a tolerable elapsed time. Big data sizes are a constantly moving target currently ranging from a few dozen terabytes to many petabytes of data in a single data set. The benefits of Big Data are huge, more and more companies and governments are working with larger and larger datasets allowing analysts to spot business trends, prevent diseases, and even combat crime. So whether you know it or not you are an active participant and beneficiary of Big Data, and hopefully now you have a better understanding of what Big Data is. Flipboard is a must have application for iPhones and iPads. 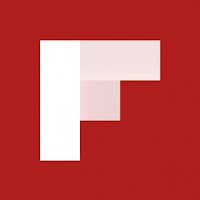 If you are looking for a simple way to stay connected with your social networks and current headline news, then Flipboard is for you. Flipboard takes content you're interested in and presents it in an impressive magazine-inspired layout. The free app connects to your Facebook, Twitter, and Google Reader feeds, and also offers a variety of curated feeds in various categories like politics, technology, and entertainment. Whether you're browsing stories from social networks or the latest news, Flipboard provides a simple way to swipe from story to story, and you can share interesting articles via Twitter, Facebook, and email. Flipboard provides you with something to read during small chunks of free time, and Flipboard for the iPhone is extremely fast. Flipping through content is not just fast, it is wonderfully smooth too. It's easy to forget all the layers of technology between thumb and content. Just tap on a story that you want to read and it appears instantly. If the story is from one of Flipboard's partners then you'll be able to 'flip' the pages too but if it's not then you'll get the version from the RSS feed. Flipboard sets a new benchmark for iPhone news apps. Once you start using it you will see why it is a must-have for every iPhone owner. Awhile back I wrote an article about SEO or Search Engine Optimization. I discussed how important SEO was to businesses trying to attract new customers. Now, with everyone participating in social media in one way or another, there is a new way that people are learning about new products, and it is through recommendations. Recommendations are made by people you trust, who do not stand to benefit from the sale of a product. 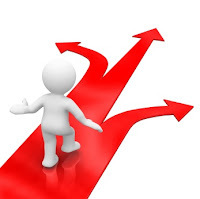 Research shows that approximately 70 percent of educated purchase decisions are based on recommendations. Many people that I know have used their social networks to get recommendations or non biased reviews on products and services from their peers. I recently purchase a new car and I spent a fair amount of time doing research and asking friends for advice. I checked online forums, read reviews, and reached out to my network, before I ever visited the manufacturer’s website. So what should marketing departments do now, abandon SEO for something else? The answer in the short term is no, SEO can still play a major role in your marketing and branding initiatives. However, it now makes sense to consider another avenue to attract new business. The best companies will focus on great products and great customer service, and this will lead to more recommendations. Sounds a bit like Apple, huh?